Time had passed. But now God was ready to take the next step in His plan for the salvation of humankind. It was an astounding one. It revealed His commitment, His purpose and His love. God called Abraham – one man – and promised to do these amazing things through him. Note that the focus is on what God will do. There was no hint that Abraham should do any more than listen and obey. 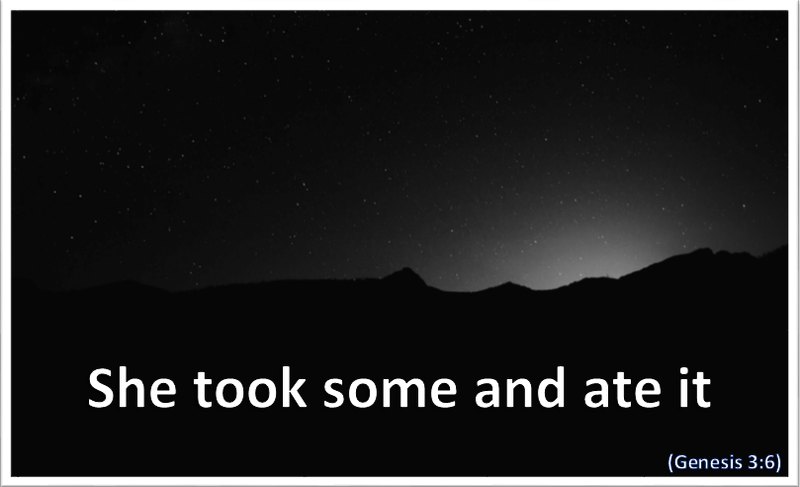 (Much later Jesus was to say that He did just that Himself). God would ensure that everything happened as He wished. Abraham was not perfect, and he often got things wrong. But he was available to God, and did listen and obey – and history, as God wanted it, began to unfold. God does not ask us to do things for Him – but to be open to His working in, through and around us. It is His will, His power and His result which are important. The prayer Christ taught us is that God’s ‘will be done on earth as it is in heaven.’ He looks for us to make ourselves available to Him, to believe in Him, and to heed and follow His instructions. In that way good and great things can still happen – and do. God’s great commitment is to Life – our life in the eternal Life that is Christ, God our Saviour. Like Abraham each one of us has been called for a purpose. At one level it is for our own personal salvation and relationship with God. However, on another level, it is to be a part of God’s great and glorious plan of salvation and the establishment of His Kingdom on earth. Wherever we are called to be involved it is never a ‘spectator- sport’ but one in which each and every Christian is called to play their part. Lord God, thank you for those who, like Abraham, heard You and responded to You. Please help me to be open to You, to trust You, to look for Your guidance in my life, and to respond properly to Your will. 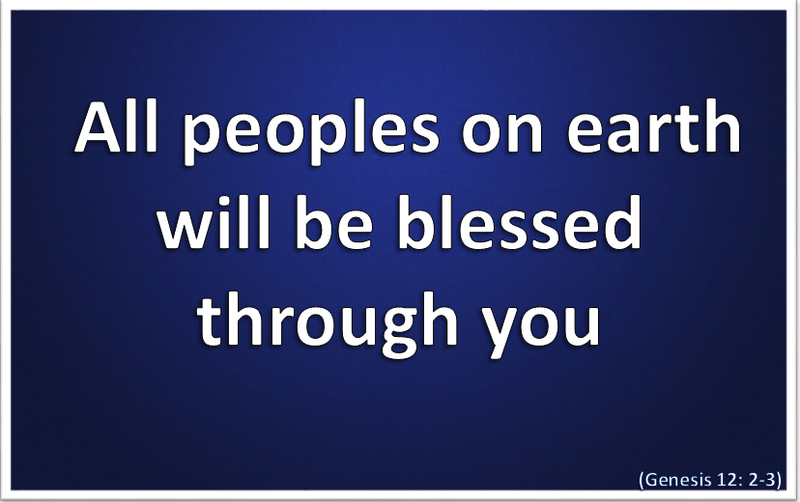 And as You bless me, so please bless those around me as well. Amen. Categories: Christianity, Daily Life, God | Tags: Daily Bread, Faith, Genesis, Jesus, Lent, Life, Scripture | Permalink. What Adam and Eve had started now began to bear a tragic and prophetic fruit. Having rejected the authority of God the consequences began to appear in their children – born after the Fall. Envy took root in Cain who, having deliberately misled his brother, struck out and killed Abel. When confronted by God he sulkily responded that he had no obligation to look after his blood relative. In this short account the foundation is laid for much of what we see not only in the history of humankind but in the world around us today. Lies, violence, murder and abuse. A history of terrible wars, brutal destruction of lives and families, and fraud and theft of almost unimaginable proportions. A lack of integrity in people in high office and amongst public figures and sporting heroes who were idolised. Church leaders have fallen and countless numbers of people around the world are at this moment suffering, starving and searching for some help and hope. The first sin has grown and blossomed hugely and horrifically. The first denial and rejection of God has developed with it. Sin is evil and its consequences can be observed. Our imperfections can be inherited, absorbed from our context and culture, be the fruit of our own decisions, and passed on to others – both directly and indirectly. We influence all those around us in one way or another. Father God, I look to You for help. Please forgive me for the sin and sins in my life, and for any way in which I have hurt and influenced others in ways that are unhealthy, unhelpful and impure. Help me to draw closer to You in thought, word and deed, Amen. Categories: Christianity, Daily Life, God | Tags: Daily Bread, Faith, Genesis, Jesus, Lent, Life, Love, Scripture | Permalink. Whether, ‘To obey or not to obey,’ or ‘To be or not to be,’ the freedom of choice is still ours. Adam and Eve made the wrong choice – which amounted to a rejection of God and His character- and were banished. We will not begin to understand what seems to be the severity of that judgment until we are able to appreciate something of the holiness and absolute purity of God. God told Moses that no one could look at His face and live. We must not fall into the modern and comfortable trap of thinking that sin is naughtiness, and can be dealt with by a slap on the wrist or an hour in the corner. ‘The wages of sin is death’ (Romans 6:23). Sin brings death to relationships – with God, others and ourselves – and ends in an eternal separation from God. Unless, that is, God does something about it. He is the only one who can. We find a hint of it here. God does not just throw them out of the garden, physically and spiritually naked and vulnerable. He does something. 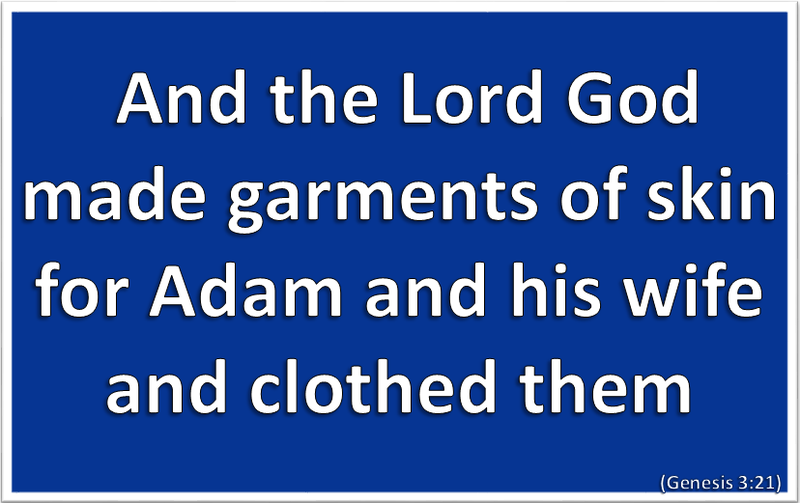 He clothes them Himself with garments which He has made. It is interesting that they are made of skin. Was this the first sacrifice, made so that man and woman could live? If so, it is possible to imagine that the first animal killed was a lamb, and that the humans were clothed in the skin of the lamb. This would point towards the day when help would come from the ‘Lamb of God who takes away the sins of the world,’ and when we would be clothed with the righteousness (the right with God-ness] of Christ Himself. That righteousness would then make healing possible in our relationships with ourselves and others as well. A key truth for us is that when we lose our vision of God, we lose our vision of everything else as well – both good and evil – and of our value as humans. Lord God, thank You for the freedom of choice that you have given me. Help me to honour You in the way that I exercise it, and increase in me an understanding of Your glory. Amen. Sin is a rejection of the sovereignty, wisdom and love of God. It results in an awareness of guilt and separation, and the death of certain areas of our life – such as the death of a happy relationship, the death of trust, the death of peace, and the death of life as it was before. Guilt is a terrible thing, raising barriers within and around us. It separates us from God, from others (as we hide parts of our lives), from ourselves (the person we thought we were or wanted to be) and from our potential. And, unless dealt with, it can destroy our inner life. This is one of the reasons for what we know as confession. It is not to make us feel bad – it is so that we can be set free to feel better – and to have another go at life! Allow yourself to remember a time when you have been hurt by someone else, and also when you have been the one who caused the hurt. Remember also a time when you have just made a mess of things and been disgusted with yourself. Without apportioning blame just think of the effect in terms of pain and the damage to, or severing of, relationships. Spend a moment in silence, acknowledging your pain, and the pain of others involved or affected. Then think of how God may feel when He is hurt by the rejections of others, and you – particularly after all He has provided and done for us. Then very simply – ask Him to forgive, to cleanse and to heal. Lord God, I know something of the pain of damaged relationships –with others and with myself. I’m sorry if I have caused You pain. I’m sorry for causing pain to others. Please forgive me where I have been at fault. Thank You that You came looking for Adam and Eve to deal with the problem. Please keep looking for more of me, and help me to look for more of You in my life. Amen. “She took some and ate it. Given the gift of choice they elected to use it in disobedience. They allowed themselves to dwell on the attractiveness of the fruit and the persuasive words of the tempter – and then they just did it. In this they rejected the command of God, the authority of God, the truth of God and the love of God. Sin does that – even today. Note that it is not a question of the severity or superficiality of the sin as we see it (It was only a piece of fruit!). The sin was in rejecting and disobeying God. We need to remember that as we assess our own sins! There is only one solution, one Saviour and one Salvation – it is Jesus Christ, God the Son. It is why He came – to take our sin and our death upon Himself – to give us His life and His relationship with the Father instead. Have a look at your own life – where do you get your choices wrong? Thank You Lord Jesus for taking my sins upon Yourself with the punishment they deserved. 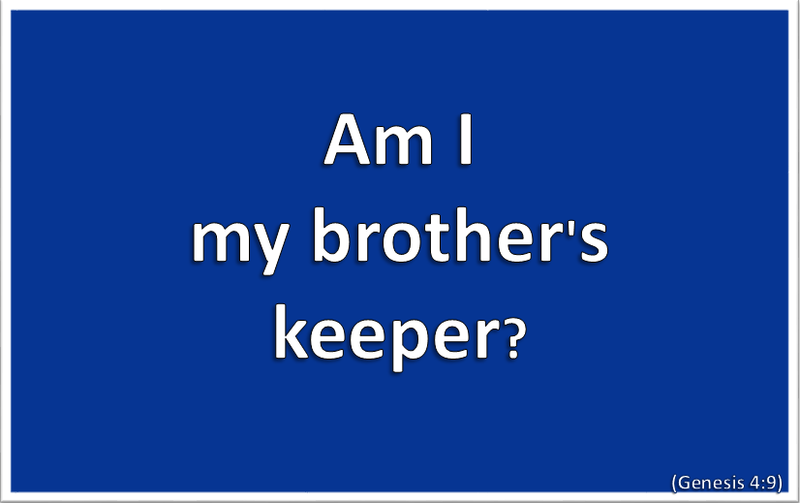 Please help me to stay close to You in thought, word and deed – and protect me when I weaken. Amen. Categories: Christianity, Daily Life, God | Tags: Daily Bread, Faith, Genesis, Jesus, Lent, Life, Scripture, Sin | Permalink. The Majesty of God in Genesis One becomes the Intimacy of God in Genesis Two and beyond. 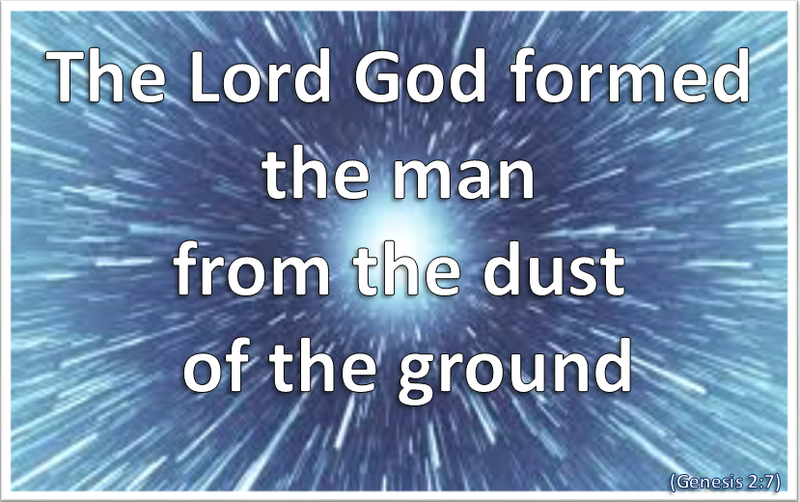 God created the universe, our world and everything on it, by His word. He is now seen to enter into His creation, forms man with His own hands, and breaths into him His very own life-giving breath – the same breath that created the starry host (Psalm 33:6). God places man within the garden, prepared by God for him. He brings the animals to him to be named, and then He forms woman to be man’s companion and partner in the great purposes of God. Take a moment to be still and quiet. Acknowledge God’s presence around you – in your life and space. 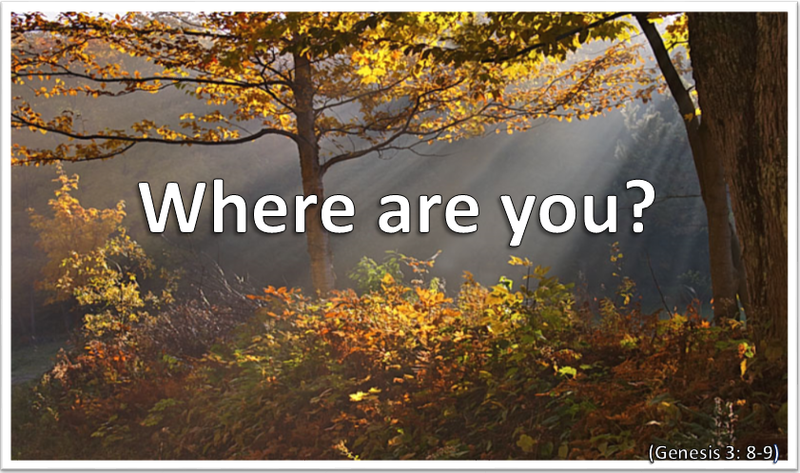 There is no spot where God is not present. He even knows every thought and emotion within you. Let it be. Let Him read you. Lord God, I acknowledge Your presence around and within me. Help me, today, to be aware of that presence, to trust it and not to fear it. Amen. Think about the scope of that statement. Don’t get caught up in the process. Look around you (throughout the day) and see the wonder that is a part of that truth. John emphasises its meaning, when he writes – Through Him all things were made; without Him nothing was made that has been made. (John 1:3) The Psalmist acknowledges – By the word of the Lord were the heavens made, their starry host by the breath of His mouth. (Psalm 33:6) What a vision and understanding they had. How great is the God who created, all this – from nothing. How beautiful the One who first imagined it –in all its vastness, variety and detail. There was a beginning. 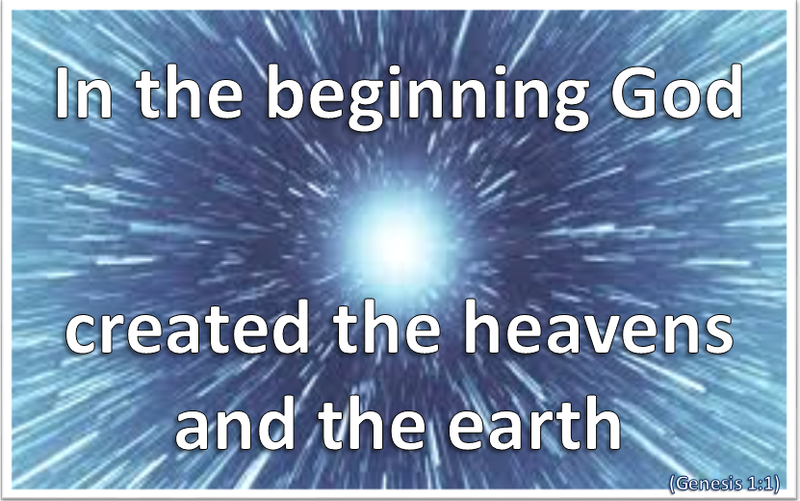 God decided there would be a beginning, and what it would be like. He decided what things would happen and how – and He controlled it. He is Majestic, Mighty, Magnificent. There is no one like Him. There is no one who can stand against Him. He is truly, and only, God. He is above and beyond His creation and yet, mysteriously, everywhere within it. In the beginning God. It is all about God. At the beginning of Lent, we acknowledge God, as God. Lent is His story and His journey far more than it is ours. We go to join Him as He waits and welcomes us. Jesus holds out His hand to us and says, Come, follow Me, and I will make you.. (Matthew 4:19). Journey through the day, aware of His presence. Lord God, sometimes I feel like a goldfish, striving to see into the mists and shadows beyond my bowl, or trying to reduce You to the level of my understanding. Open my eyes that I might see, and fill me with wonder through Your creation. Amen. Categories: Christianity, Daily Life, God | Tags: Daily Bread, Genesis, Jesus, Lent, Life, Light, Scripture | Permalink.